Indie bottler Douglas Laing & Co. has released the third and final version of its limited edition Scallywag Red-Nosed Reindeer Edition, to mark Black Friday. Described as ‘Christmas pudding in whisky form’, the 12-year-old blended malt is comprised of Speyside whiskies fully matured in ex-Sherry casks and bottled at 48% abv. Only 450 bottles of the limited edition whisky have been produced. Priced at £65 per 70cl bottle, the whisky is only available online at douglaslaing.com. 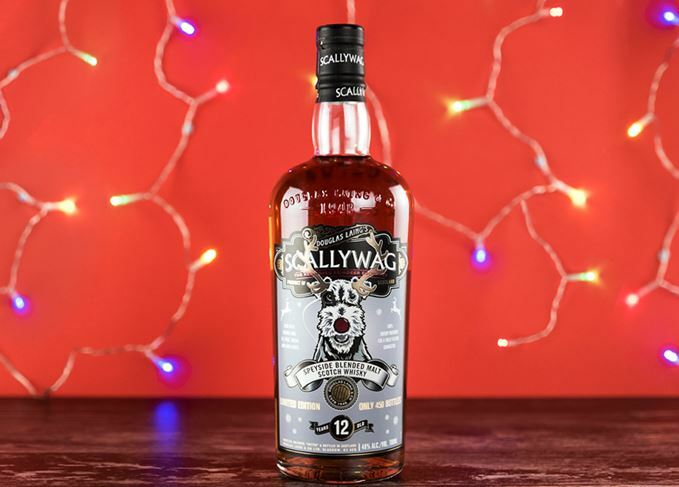 Scallywag Red-Nosed Reindeer Edition #3 marks the conclusion of a ‘festive trilogy’ of limited edition blended malts under the Scallywag brand, released annually alongside other holiday-themed whiskies from Douglas Laing such as Big Peat’s annual Christmas bottling. Douglas Laing has also offered shoppers a 15% Black Friday discount across all products on its website until 26 November.